Mayhem is Coming September 13, 2019 with Worldwide Launch of Borderlands® 3 | Take-Two Interactive Software, Inc.
New story! New Vault Hunters! New bad guys! New planets! MORE GUNZZZ! Pre-order the next game in the award-winning series from Gearbox Software and 2K today. Worldwide Gameplay Reveal Event livestream coming May 1. NEW YORK--(BUSINESS WIRE)--Apr. 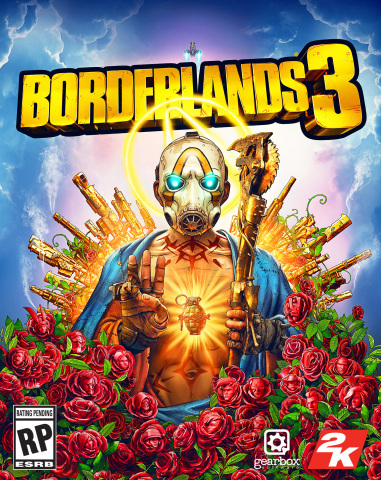 3, 2019-- Gearbox Software and 2K today announced that Borderlands® 3, the next installment in the critically acclaimed shooter-looter series, will launch worldwide on PlayStation 4, Xbox One and Windows PC on the Epic Games store September 13, 2019. At launch on September 13, Borderlands 3 will be available for PC exclusively through the Epic Games store. Borderlands 3will be available on additional PC digital storefronts in April 2020. To celebrate the announcement of Borderlands 3, the Borderlands: Game of the Year Edition launches today on PlayStation 4, Xbox One, and Windows PC. Borderlands: Game of the Year Editionis the brand new definitive version of the original game, boasting ultra HD remastered graphics, significant quality-of-life content updates, and all add-on content included. For more information, please click here. Additionally, Gearbox and 2K also released an Ultra HD Texture Pack that increases the visual fidelity of Borderlands:The Handsome Collection on consoles, and provides a visual upgrade for Borderlands 2, Borderlands: The Pre-Sequel, and all the game add-ons for both titles on PC. For more details on the specific visual enhancements, please click here. To keep up with all thingsBorderlands, please visit www.borderlands.com, become a fan on Facebook, subscribe on YouTube, follow Borderlands on Twitter and Instagram, and join the conversation using the hashtag #Borderlands. From the minds at Gearbox Software, Borderlands is the critically acclaimed shooter-looter franchise that started it all, combining intense first-person shooter gameplay with extensive role-playing progression in an exhilarating and irreverent four-player cooperative experience. Each iteration of the series features new player characters (known as Vault Hunters) with customizable skills, as well as diverse, imaginative environments filled with unique missions and enemies. Borderlands also boasts literally bazillions of guns, grenades, and loot thanks to its sophisticated weapon generation system—aside from unique Legendary items, no two weapons are exactly alike!